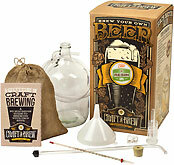 Brewing in Cloverdale, California, the Bear Republic Brewing Company is a shining example of true Wine Country quality. They crafted their Racer 5 IPA from Cascade and Columbus hops and then balanced it out with a blend of wheat, crystal and barley malts. The final product is an award-winning brew that is easily enjoyed over a meal with friends or alone while savoring the peace and quiet. 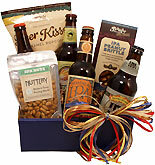 When you deliver this basket of California brew and gourmet-quality snacks, it's the same as delivering a ray of sunshine from the west coast. 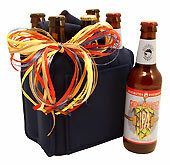 Whether you're delivering a gift of love, celebration or comfort, this is a basket that any hop fan will welcome with a hearty cheer. I purchased this set for my daughter and son-in-law as a New Year's gift. They enjoyed the quality IPA brew and the snacks. Transaction was very easy on the web-friendly site, and the cost was reasonable. Definitely will order again in the future. 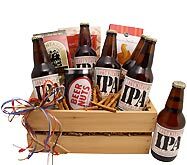 My son loves IPA's so I ordered this gift basket for his 30th birthday. He was so surprised and happy that he could try some California beers that he can't get in his state. I look forward to ordering again next year. Thanks so much Cindy Grey.